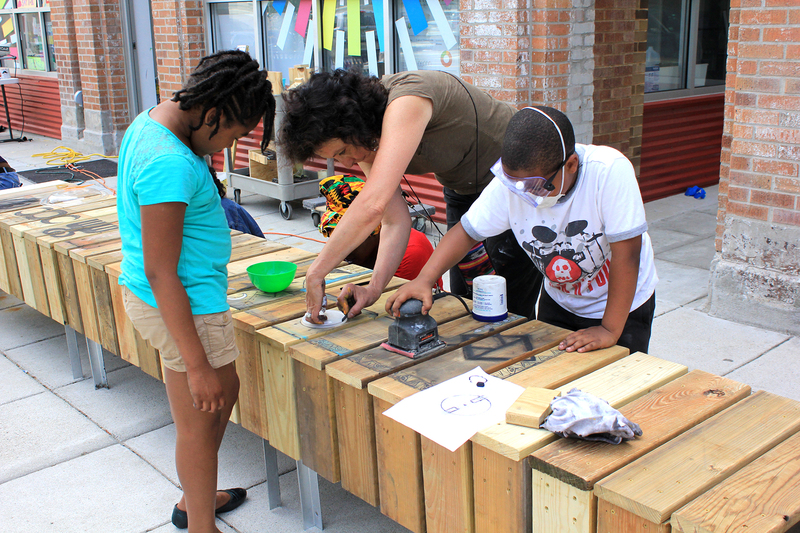 Over fifteen weeks, we gathered at the same place and the same time to design and build a long bench with the Four Corners community called Seats of Power. Over a 50-foot long industrial pipe on the commuter rail bridge in Four Corners we built an equally long bench. 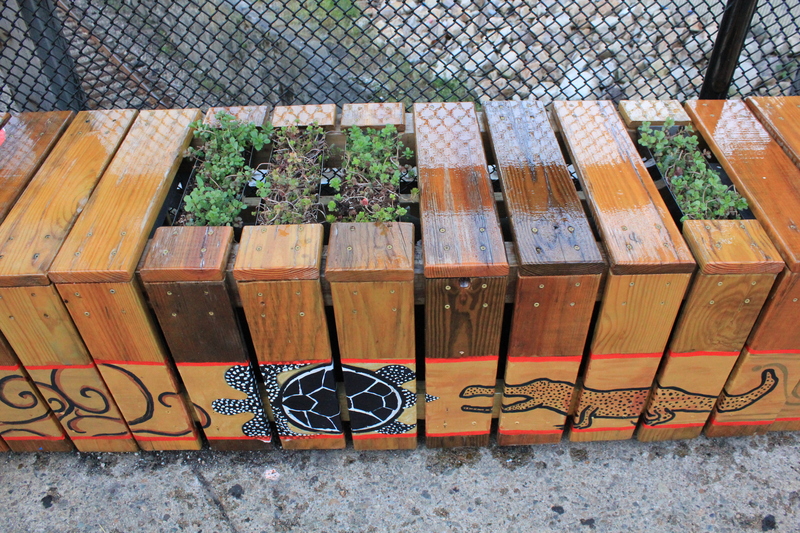 It is equipped with sounds activated when you sit, a tiny urban oasis of hearty succulents, a chess-board ready for play, and a sinuously winding mural in dialogue with each reclaimed piece of wood, all collaboratively created with community members during the pilot session of The Public Art Salon. Taken together, these discreet elements create Seats of Power, a linear place to gather, talk, wait, and play. 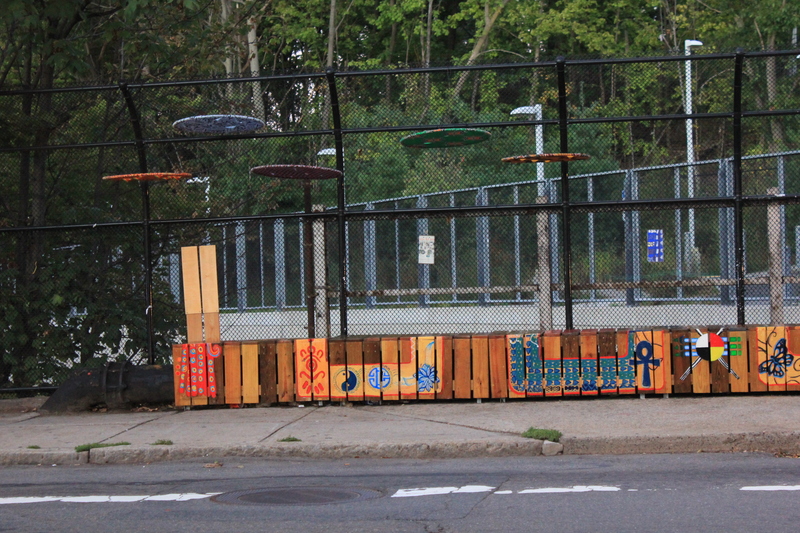 Seats of Power + Codex IV Corners grew out of a placemaking event in mid-October, 2014. 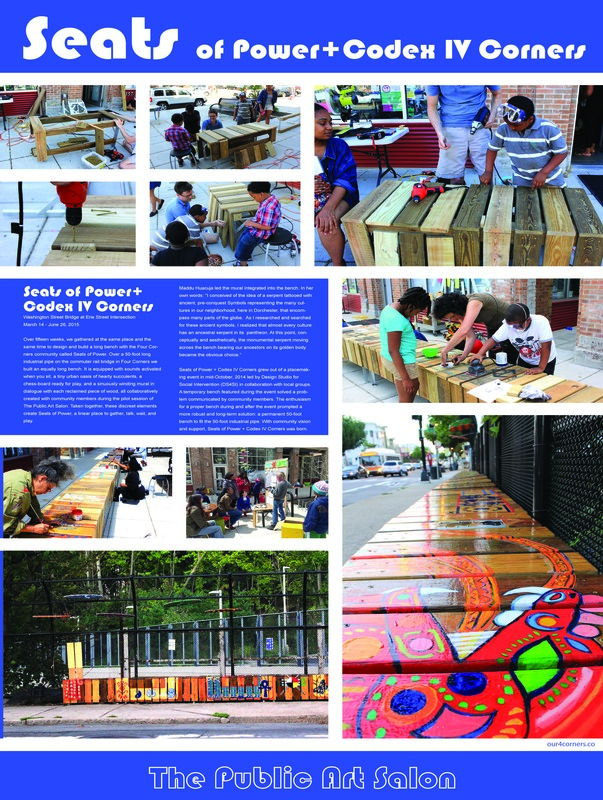 Led by Design Studio for Social Intervention (DS4SI) in collaboration with local groups (Four Corner Main Streets, Codman Square NDC, Dorchester Arts Collaborative, Greater Four Corners Action Coalition, and local merchants), the event, Productive Fiction, featured many facets of community engagement, including a five-foot bench that fit like a glove over a portion of an industrial gas pipe. 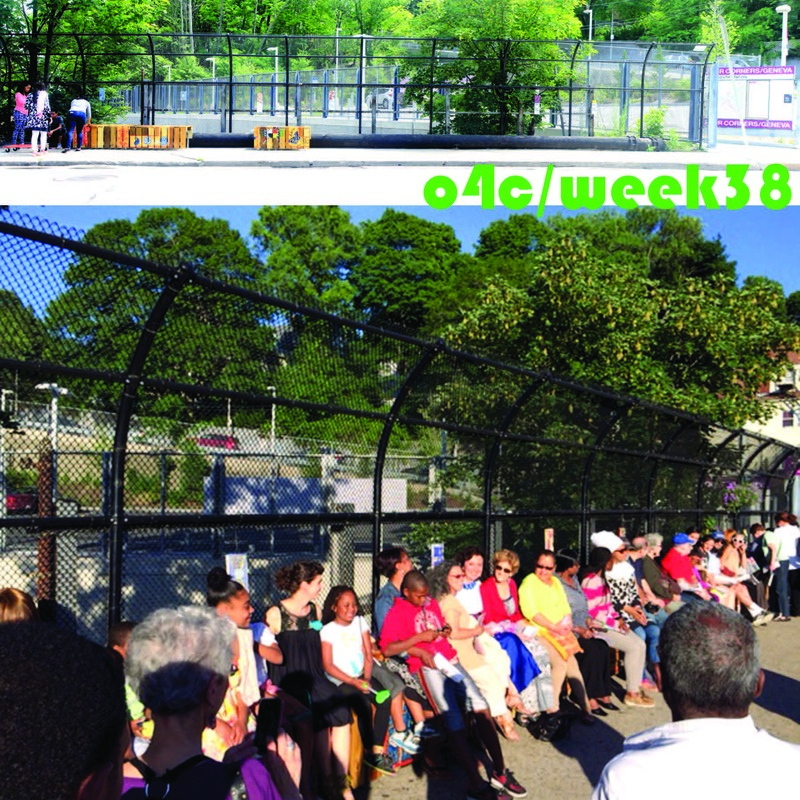 The temporary bench solved a problem communicated by community members: the current bus shelter and bench is tucked away so that if you actually sit in it, the bus driver cannot see you, and keeps driving past the station. The enthusiasm for a proper bench during and after the event prompted a more robust and long-term solution: a permanent 50-foot bench to fit the 50-foot industrial pipe. With community vision and support, Seats of Power + Codex IV Corners was born. It is currently maintained by local community organizations.